The Metric Geometry and Gerrymandering Group (MGGG) is a Boston-based working group led by Moon Duchin of Tufts University and Justin Solomon of MIT. 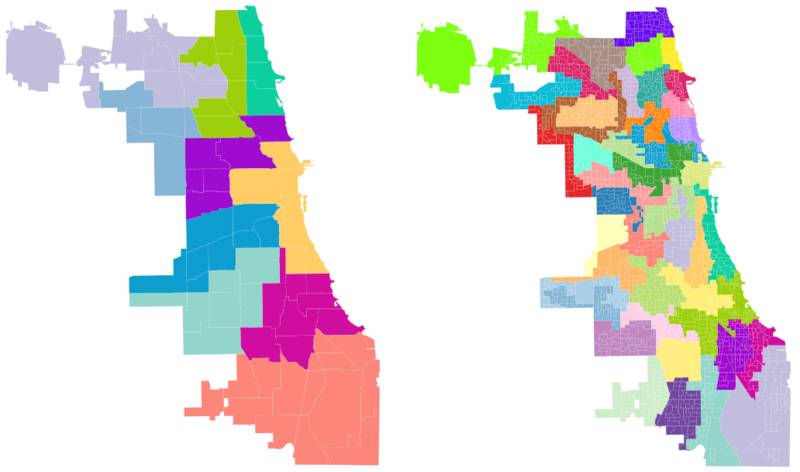 Our mission is to study applications of geometry and computing to U.S. redistricting. We believe that gerrymandering of all kinds is a fundamental threat to our democracy. to offer formal and informal expert consulting to stakeholders on all sides. The Metric Geometry and Gerrymandering Group is a nonpartisan research organization. MGGG has major support from the Jonathan M. Tisch College of Civic Life at Tufts University and the Amar G. Bose Research Grant Program at MIT and an active partnership with the Lawyers' Committee for Civil Rights Under Law.